Now in its 20th year, NAEM's EHS Management Forum is the largest annual gathering for environment, health and safety (EHS) and sustainability decision-makers. Come share best practices with peers from leading-edge companies and learn actionable strategies you can use to drive change in your organization. Learn more about the 2012 EHS Management Forum. 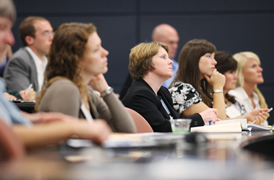 Pre-conference added: GRI reporting master class. Leading author, environmentalist, and entrepreneur kicks off the 2012 Forum. Tim Mohin discusses how to thrive in the field of corporate sustainability. The Forum draws more than 500 EHS and sustainability managers, directors and vice presidents from influential companies. 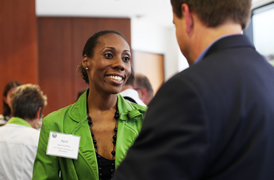 The networking events provide plenty of time for you to connect with your peers in a relaxed setting. Learn more about who attends the Forum. 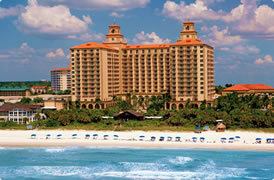 This year's Forum will be held at the Ritz Carlton, Naples. Hotel rooms have sold out at the Ritz-Carlton, Naples. NAEM has secured deeply discounted room rates at the nearby Inn at Pelican Bay and the Ritz-Carlton, Naples Golf Resort.